There are many advantages to planning a vacation during the off-peak season, from saving money on airfare to avoiding packed beaches and theme parks. You may also find that there are many adventures to be had during the winter, and few are more exciting than a ski vacation with friends or family. However, before you set off on your journey, there are a few planning tips to keep in mind that can help ensure everyone has a safe and enjoyable time. It is never too early to plan your ski vacation, especially if you are thinking about investing in a home that offers ski-in, ski-out access to some popular mountain trails. You may be able to find some properties at a reduced price once the ski season ends, and it is a good idea to contact a realtor who has experience with selling these types of vacation homes. Imagine skiing all day and then bringing your friends back to your mountain getaway for unparalleled comfort and privacy. If you plan to rent a condo or stay at a resort, you may want to start looking as soon as possible to grab deals pop up over the late spring and early summer. This can be especially helpful if you have a large family or group that need lodging. Download a travel app so you can get alerts about special deals and price drops for areas you are interested in. 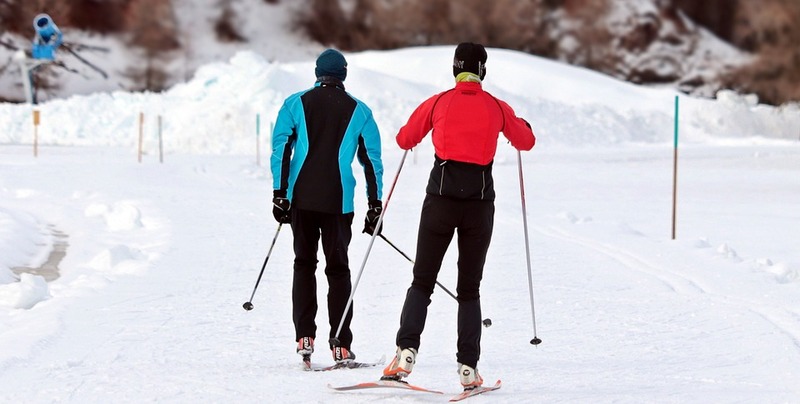 While skiing will probably be the focal point of your vacation, it is important to consider the ages and physical abilities of each person in your group. For example, if you have young children in your family, consider having another adult present who is willing to take them on other adventures while you hit the slopes. Browse different resorts to check which ones offer toddler tubing, ice skating, and other child-friendly activities. If you have people in your family or group with limited physical abilities, arrange for activities that allow them to enjoy the surroundings and winter weather. Ski lift sightseeing tours, sleigh rides, and resort games can all provide your loved ones with hours of fun without making them feel left behind. Feeding your clan can get expensive when you are on a ski vacation unless you own a vacation home with a well-stocked pantry, and while this can be one of the major pros of purchasing a ski property, there are other avenues to food savings as well. Check with the resort to learn about dining options, make sure your room has a microwave and a fridge so you can store ski snacks and drinks, and take advantage of discounted meal deals at local restaurants. If you plan to use your own ski equipment, storage can be an issue unless you have a garage or storage shed at a private luxury ski in ski out winter home. This can be a major advantage and something to consider when it comes to investing in such a property. In the meantime, however, you might want to think about whether you plan to rent equipment instead. A hotel room may not give you much room for storing skis and snow tubes, so it is important to check out your options before you arrive. If you do purchase or own a private home, it is still a good idea to consider how much gear you will be storing. You will need at least a few square feet per person, so taking a trip up to your home before the season starts and making room in your shed or mud room can help you avoid confusion and stress during your vacation. Arranging a ski vacation with friends or family can be a challenge. However, when you plan early and consider a variety of factors, your time on the slopes will be packed with fun instead of frustration.